We offer designer nail art with beautiful and multi color pattern show for nails. These are designed to meet the exact requirement of our valued clients spread across the globe. Our designer nail art is extensively used in beauty industry for its uniqueness. We use high quality vinyl product in nail printing that are of good quality and ensure the safety of nail. Rest your tired limbs, soak them in warm water with salts from the dead sea.Envelope them in masks which improves their appearance and health.succumb to the soothing massages.Sit back and feel your stress ebbing away. 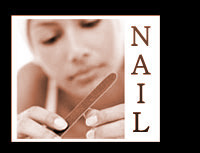 “Nail extensions are very popular, especially with those who want to hide their chewed nails or those who want a stunning Nail makeover. It’s a set of Tips that are attached to the natural nail and finished to perfection with gel so they look and feel absolutely natural.